Burning fossil fuels and biomass are the primary sources of “black carbon” in the earth’s atmosphere, and deposits of black carbon are building up on glaciers, accelerating ice loss, according to a research team that includes Robert Spencer of the Woods Hole Research Center in Massachusetts. Black carbon deposits in these remote, “pristine” locations provide direct evidence of the impact human activity is having on the environment. Glacier ice loss is accelerating globally, and deposition of black carbon is contributing to it. Black carbon deposits darken the surface of glaciers and increases their absorption of light and heat. Spencer and his fellow researchers have been studying this phenomenon at the Mendenhall Glacier near Juneau, Alaska. Glaciers pick up a lot of carbon as part of dissolved organic matter (DOM) as they grind their way over land, including “natural” DOM from ancient plants, trees and animal life forms. This is transported to downstream ecosystems in meltwater and taken up at the base of aquatic food webs by microorganisms. Adding to the DOM taken up and distributed by glacial cycles are black carbon deposits from rain and snow, which include carbon from burning fossil fuels and biomass. Distinguishing the original source of the carbon in DOM has been an obstacle to gaining better understanding of the carbon cycle in glacial regions. New evidence from radiocarbon dating and ultra-high resolution mass spectrometry has led Spencer and his colleagues to believe that the carbon comes mainly from the burning of fossil fuels and modern-day biomass, however. The same process of DOM uptake and distribution occurs in environments around the world, where rivers and other waterways carry DOM to the sea. 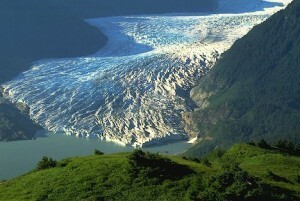 Whereas carbon-rich DOM in tropical and temperate environments is quickly taken up in the food web, DOM in glacial environments persists longer, which makes glacier ecosystems such as the Mendenhall Glacier unique, “sentinel” locations to study the carbon cycle and the extent to which anthropogenic – man-made – carbon from burning fossil fuels and biomass contributes to the cycle. Glacier ecosystems cover 10% of the earth’s surface. Together with ice sheets they are the second largest reservoirs of freshwater on earth. Nonetheless, the carbon cycle in glacial areas is poorly understood. “Improving our understanding of glacier bio-geochemistry is of great urgency, as glacier environments are among the most sensitive to climate change and the effects of industrial pollution,” Spencer stated. Furthermore, post-industrial deposits of black carbon have changed the bio-geochemistry of the oceans. 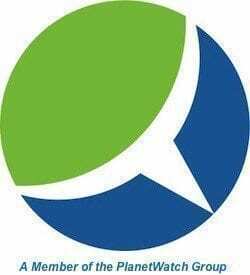 Marine and aquatic microbes that make up the base of the food web are very sensitive to the quantity and quality of carbon dissolved in water. The researchers found that the organic matter in glacial meltwaters in large part originate as a result of human activities, which means that the supply of glacier carbon in Gulf of Alaska coastal waters is a modern, post-industrial phenomenon, they say.